Obviously, this needs tweaking: the tail is repetitive and boring, for one thing. (Not too surprising, since I created it by cutting and pasting part of the original tail!) But reworking that should be relatively easy. I’ve also started experimenting with embroidering the surface of my sample, adding ribbon, embroidery floss, seed beads, and other embellishments to enhance the design. I don’t want to go whole hog into it yet, as the embellishment requirements will change as the image gets larger. But the results so far are promising (sorry, no pictures yet!). From here? My first step will be to play with, rework, etc. the phoenix design until I’m satisfied with the overall pattern. Then I will create a smaller stencil so I can test the design at scale, and work out some technical issues, before committing to a larger version of the piece. (I will probably also test out embellishment designs on the smaller piece.) After that I will start weaving the final version. That is still quite a bit to complete by the February 5 deadline, but feels much more do-able. 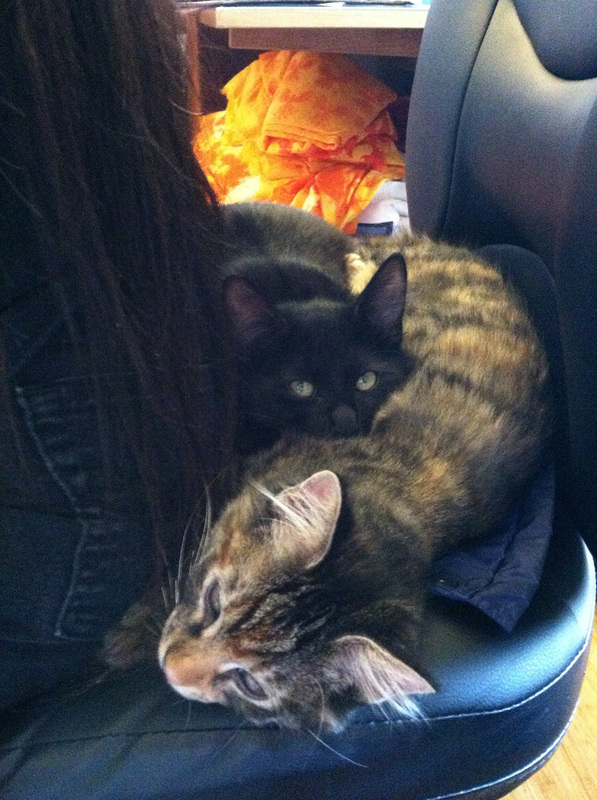 Apparently I make a good kitten backrest. Who knew?